Ah, spring is finally upon us. And what better way to welcome the warmer weather than by updating your garden or patio? Here, seven outdoor decorating trends that will transform your basic yard into a seasonal sanctuary. Showy landscaping is out. Breezy flower beds are in. Skip the high-maintenance turf grass in favor of low-key (and more sustainable) perennials like yarrow, hibiscus or lavender, which are able to survive with less watering. The farm-to-table trend is headed straight to your home. Start small with herbs like parsley or mint (hello, mojitos! ), or go all in with local fruits and vegetables. Thanks to upgrades in fabric and design, outdoor seating (think rattan and wicker) is more durable--and prettier--than ever. 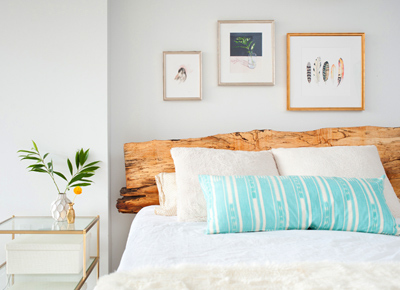 Add some decorative throws or pillows in a similar color scheme to create a calming vibe. Small space? Take your gardens upward--more specifically, plant in hanging pots or set a bunch of containers on a ladder to snazz up your patio or balcony without taking up too much real estate. Also known as a playhouse for grown women, this is perhaps our favorite trend of them all. Update your rickety old tool shed with a fresh coat of paint, ambient lighting and cozy seating so you can escape to your backyard for a little TLC (ahem, glass of wine) whenever you need to recharge. Plush new lounge chairs, check. Charming vegetable garden, check. Pitcher of sangria, check. If it still feels like something is lacking from your sitting area, try adding a colorful rug to the space. It will make the exterior of your home just as inviting as the inside. Spruce up your patio with some fresh florals in one (or both) of this year’s two dreamy hues: rose quartz (a blush pink) and serenity (a calming blue). From tea roses and peonies to periwinkles and delphiniums, the options are endless. Bonus points for matching planters.